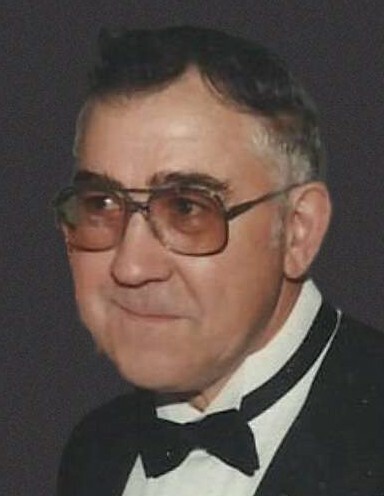 Donald L. Lewis, 86, passed away peacefully in his sleep on Saturday, March 23, 2019, at Whitefish Center. Don is survived by his wife, Carole, three children, Wayne Lewis and wife, Jan; Tony Lewis; Donna O’Rear and husband, Lee; his stepdaughter Jill Preston, and partner Dennis; five grandchildren, Chris Lewis and wife, Emily; Kira Hufford and husband, Steven; Tiffany Mitchell and husband, Joel; Reilly O’Rear and fiancee, Alicia Williamson; Paige O’Rear; step-grandson, Chad Eaton; and three great-grandchildren. Don was born on Nov. 3, 1932, in Fairview, Montana. He was the son of Joseph and Mamie Lewis and was the youngest of 11 children. He graduated from Fairview High School in 1951, and upon graduation, entered the United States Air Force. He served in the military for four years and was stationed at Fukuoka, Japan, during the Korean War where he worked as a diesel mechanic maintaining the power sources to the code breaking machines. After his time in Japan, he was stationed in Wichita Falls, Texas, where he met and married Robbie Johnston on Feb. 19, 1956. The couple moved to Kalispell where they lived together for 22 years. Don married Carole Brick on June 23, 1985, and the couple lived together in Kalispell until his death. Don cherished his family. He was a loving father to his three children and quickly became “Pops” to Carole’s two children. He also enjoyed spending time with his sisters and brothers and their children at family get-togethers and reunions. Don was a dedicated small business owner in Kalispell. He owned and operated Chainsaw Sales and Service and served the community and local logging industry for nearly 50 years. He sold the business and retired in the mid-1990s but continued to work at the shop for several years. Don loved people. He never met a stranger and enjoyed sharing stories and good conversation with his friends and family. He loved to laugh and was an eternal optimist. He cared deeply about people in the Flathead Valley and served as a volunteer firefighter for the West Valley Volunteer Fire Department for 23 years. The most important part of Don’s life was his walk with the Lord. He was a devout Christian who loved to sing hymns and songs about his faith. He had a beautiful baritone voice and began leading worship in church as a teenager. He has been a member of the Kalispell and Columbia Falls Churches of Christ and the Family Life Christian Church. His love for God was obvious in how he treated others. A memorial service celebrating his life will be held at 2 p.m. on Friday, March 29, at the Family Life Christian Church, 1075 Foy’s Lake Road. In lieu of flowers, the family asks that Don be honored through donations to the West Valley Volunteer Fire Department, 2413 Farm to Market Road, Kalispell, MT 59901. Darlington Cremation and Burial Service is caring for Donald and his family.